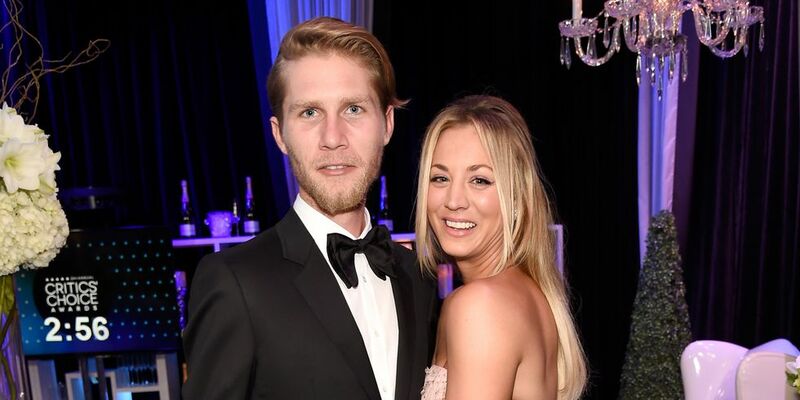 Big Bang Theory star Kaley Cuoco married professional equestrian Karl Cook on Saturday. The pair have been dating since 2016. Cuoco announced the news via her social media late Saturday night. The pair was married in a barn wedding surrounded by family and friends, People reports. Cuoco fan accounts posted videos of the reception, showing the pair’s intimate, self-written vows. Cook can be heard detailing his willingness to take care of any stray bugs in their home, and Cuoco speaks of the lack of words she has for how much she loves Cook. I’m actually crying. Huge congratulations, @normancook and @mrtankcook!! Here’s to wishing you both a lifetime of happiness! 💕💗💗💕 👰🏼 🤵🏻 #kcsquared P.S. You definitely blew Amy’s dress out of the water. And so much more beyond. Damn, it’s STAGGERING! Cuoco wore a lace wedding dress and cape for the ceremony and changed into a lace pantsuit for the reception. The couple were engaged in November 2017, they shared with fans via Instagram. In a video, a tearful Cuoco shows off her ring before Cook explains she had yet to say “yes” to his proposal. Cuoco is most known for her role as Penny Hofstadter on The Big Bang Theory, a girly-girl among a group of scientist friends. The show has been on for 11 seasons. She’s the second highest paid actress, only behind Sofia Vergara, and has started her own production company, Yes, Norman Productions. 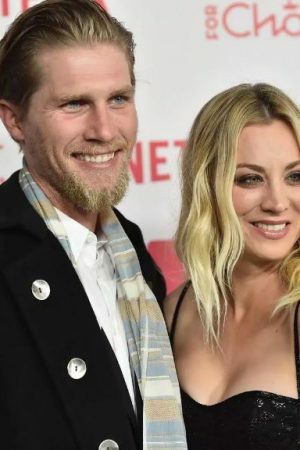 “Legally KCSQUARED 6-30-18,” Cuoco, 32, posted on Instagram with a black-and-white photo portrait of herself and Cook, 27, in wedding clothes, kissing in a decorated, flower-strewn stable in Rancho Santa Fe, California, an unincorporated area north of San Diego, known for its celebrity residents. “KC squared” refers to the couple’s identical initials. On Sunday, Cook — son of Intuit co-founder and retired CEO Scott Cook and businesswoman Signe Ostby, who runs the family’s Pomponio Ranch Stallions stables in San Gregorio, California — posted a photo of the couple kissing before a horseshoe-shaped altar made of flowers and other plants. “Good morning honey, I love you, and I’m sorry. I am still processing the greatest night of my life marrying the love of my life!” he wrote. Cuoco wore a strappy lace wedding gown by designer Reem Acra, matched with a white lace cape. Tadashi Shoji designed her reception jumpsuit, per numerous outlets. Guests included Cuoco’s cast-mate and former boyfriend Johnny Galecki, 43, who posted an Instagram photo of himself and the happy couple, captioned, “Deepest congrats to the newlyweds. Love you both so much. . . . So moved by tonight.” Fellow cast-mate Mayim Bialik, 42, also attended, posting a photo montage and writing, “Yes we are thrilled to be at @normancook and @mrtankcook ‘s gorgeous wedding and it’s super fun.” Actor Wil Wheaton also posted from the nuptials. Melissa Rauch, 38, sent her cast-mate her best wishes, posting the black-and-white portrait and writing, “The most tremendous congratulations to these beautiful newlyweds!!! Wishing you both a lifetime of love and happiness!! Love you guys!” Fellow “Big Bang” stars Simon Helberg, Kunal Nayyar, and Jim Parsons, who is currently on Broadway in “The Boys and the Band,” did not post about the wedding on social media. The pair’s star-studded wedding comes just days after Cuoco stepped out in a “bride” T-shirt while getting in shape for the big day. Days before that, she celebrated her bachelorette party with a pink-themed bash surrounded by family and a few famous friends, like celebrity stylist Brad Goreski. While speaking with ET in March, Cuoco insisted that no matter when or where she and Cook tied the knot, “there will be no animals left behind.” “Every animal we have will be part of it. It will be very special, very emotional and all the things that are important to us,” shared the actress, who owns dogs, horses and rabbits with Cook. Cook and Cuoco started dating in March of 2016, six months after Cuoco announced her split from ex-husband Ryan Sweeting. The equestrian proposed on Cuoco’s 32nd birthday last November. There are only 12 tables in the best restaurant in the world. 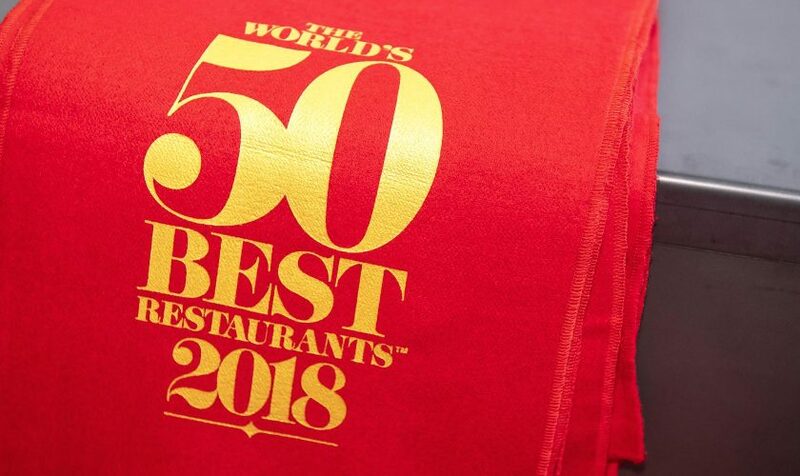 The new ranking, released Tuesday, includes restaurants from 23 countries around the world. 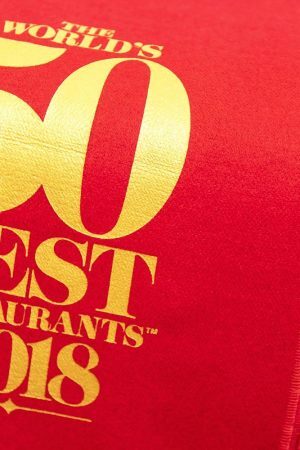 The list is compiled by tallying the votes of 1,000 international restaurant industry experts and “well-traveled gourmets,” according to a statement. See the Statement Here. Guatemala’s Fuego volcano erupted for the second time this year. Guatemala Volcano Update – Fuego Volcano Erupts. It kills at least 25 people and leaving dazed residents covered in ash as they searched for loved ones. Guatemala’s President Jimmy Morales declared three days of national mourning. 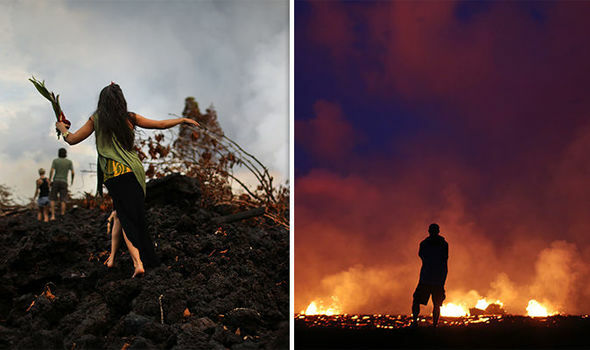 Survivors described the horror and destruction during the eruption. 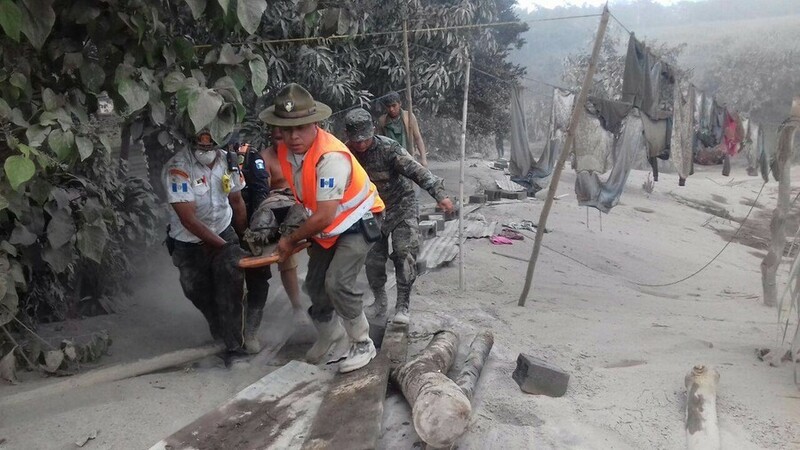 More than 3,100 people have been evacuated while search and rescue efforts continue into the night, said Sergio García Cabañas, director of the agency. The explosion will affect 1.7 million people. 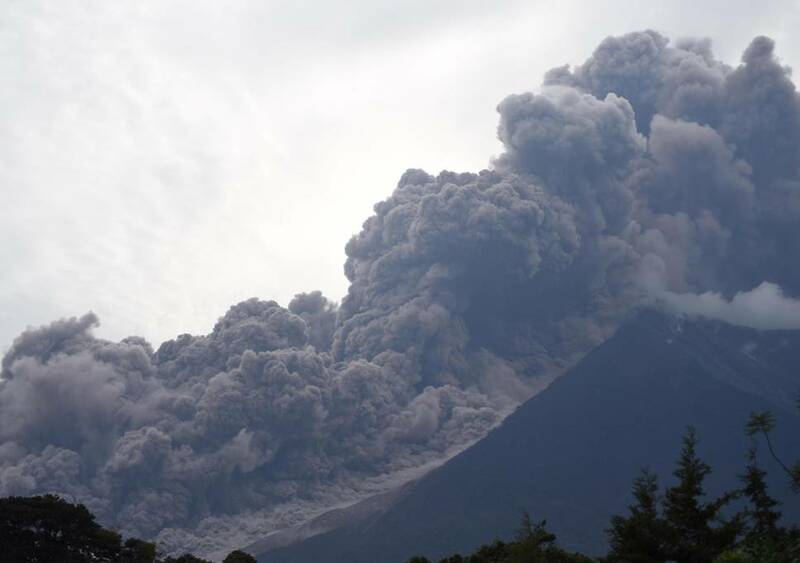 The eruption officially ended late Sunday, according to Guatemala’s National Institute of Seismology, Vulcanology, Meteorology, and Hydrology. “The eruption … is reaching its end with 14.763 feet of ash and weak to moderate explosions and incandescence in its crater,” it said in a statement. 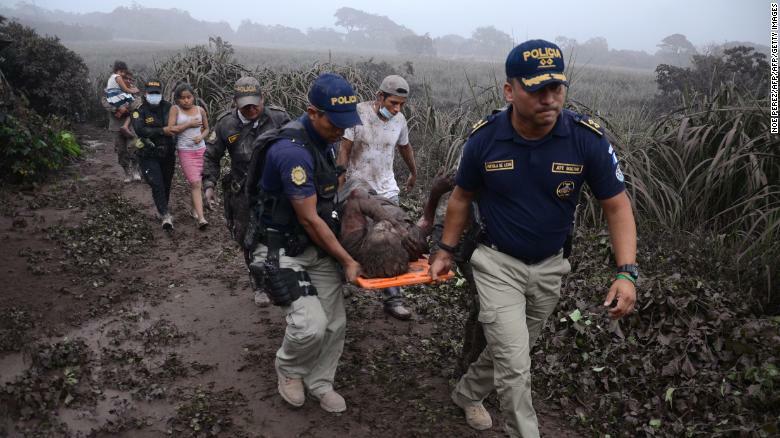 Twenty-five people have been killed and hundreds injured in the most violent eruption in decades in Guatemala. 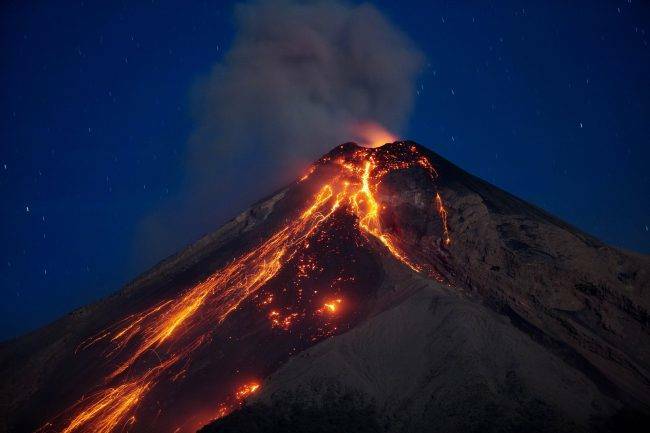 The Fuego volcano, about 40km (25 miles) south-west of the capital Guatemala City, has been spewing rocks, black smoke, and ash into the sky. A flow of lava hit the village of El Rodeo, killing people inside houses. 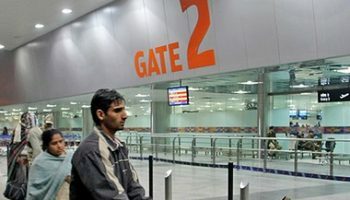 The main airport in the capital, Guatemala City, has been closed. 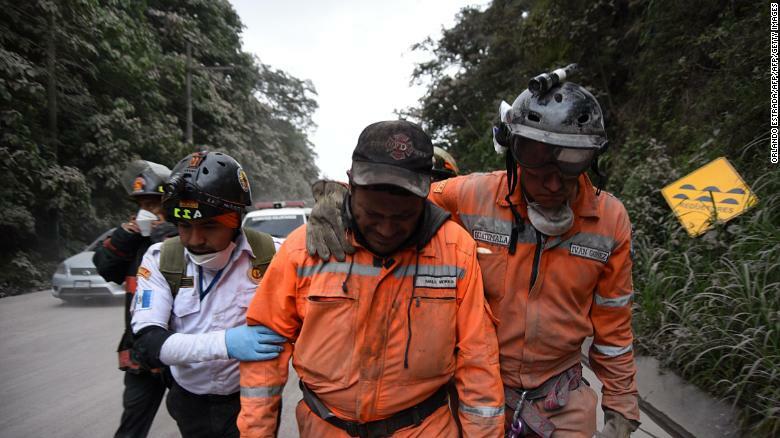 Sergio Cabañas, head of the country’s National Disaster Management Agency (Conred), told a local radio station that a lava stream had changed course towards El Rodeo. 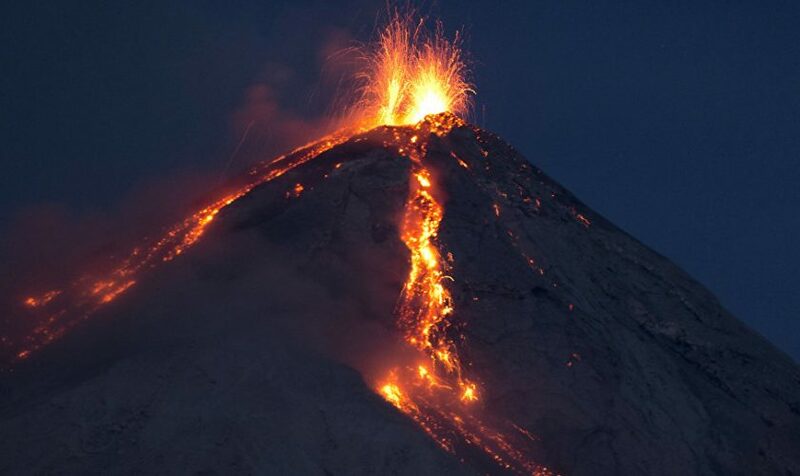 Volcan de Fuego, whose name means fire, is one of Central America’s most active. Mr. Cabañas later said the dead included a member of his agency’s staff. Several children are among those confirmed dead. Videos published by local media show bodies lying on top of a lava flow and rescuers attending to people covered in ash. Officials have advised people to wear masks as protection against falling ash in four of Guatemala’s regions. 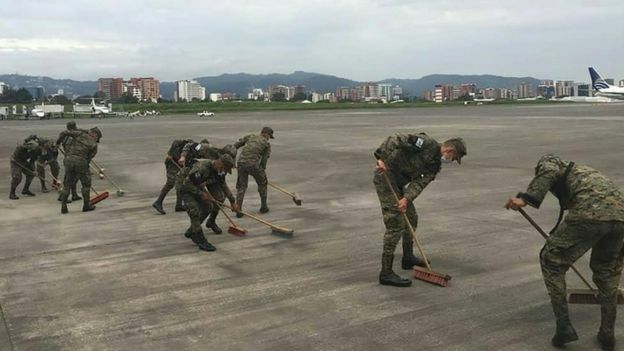 The military is providing assistance, from rescue operations to setting up temporary shelters and clearing volcanic ash from the runway at Guatemala City’s La Aurora airport. The hottest and fastest-moving lava of Kilauea volcano’s latest eruption spread across new parts of the Big Island Wednesday, forcing officials to order evacuations in two coastal neighborhoods over fears that the rapidly advancing flows could cut off dwindling escape routes. “Hawaii County Civil Defence decided to evacuate all of lower Puna to ensure that people would be able to get out,” Stovall said. One fissure was observed early Wednesday morning spouting lava over 61 meters into the air. 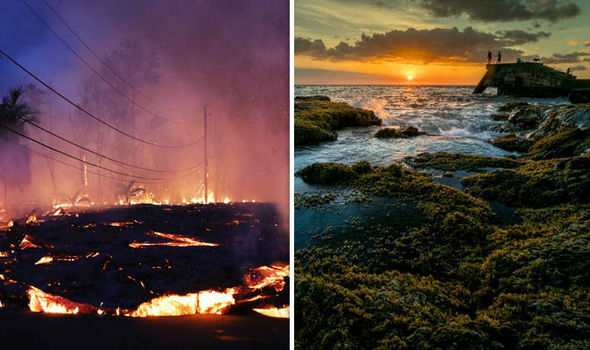 Hawaii County officials said lava destroyed the electric utility’s equipment on the highway, which knocked out power to Vacationland and Kapoho Beach Lots. “You are at risk of being isolated due to possible lava inundation,” the Hawaii County Civil Defence agency advised the public. There were several small earthquakes at Kilauea’s summit Wednesday, where the vent inside the volcano’s Halemaumau Crater has grown along with a series of explosive eruptions that have sent rock and ash thousands of feet into the sky. Hawaii Volcanoes National Park remains closed because of the volcanic activity at the summit and the ongoing eruptions on Kilauea’s eastern flanks. Park officials said that crews are working on clearing another roadway on the south side of the park that was covered by lava from previous eruptions. 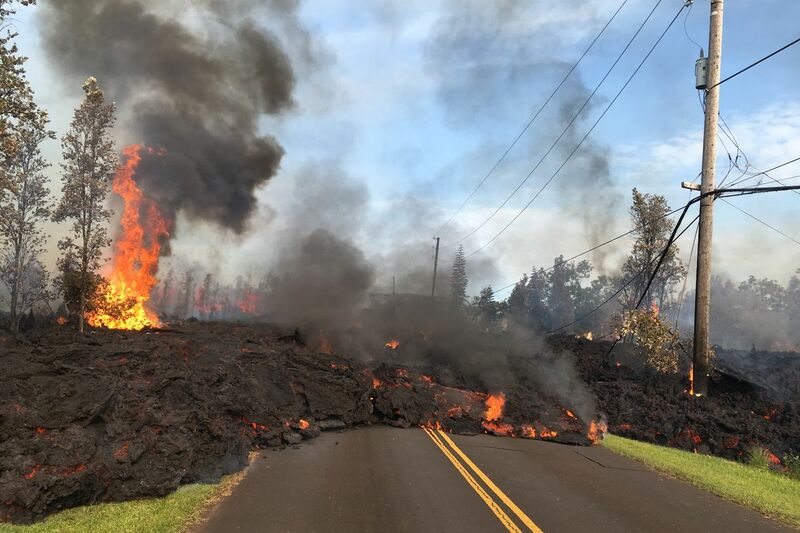 They hope the roadway will provide an alternative escape route if lava cuts off more roads to the north. Strands of volcanic glass called as Pele’s hair was accumulating on the ground in Leilani Estates and surrounding neighborhoods, and winds may blow lighter particles farther away, scientists said. The strands can cause irritation and respiratory problems when it comes in contact with people. Volcanic gas emissions remain high from the eruption. Wind conditions for Wednesday were forecast to result in widespread vog – or volcanic smog- over the Big Island. HISTORY: To what extent has Kilauea been ejecting? Hawaii spring of gushing lava Kilauea is as yet emitting just about a month after in excess of 250 tremors smashed the hole floor, regurgitating magma and lethal gas over the state. Kilauea is Hawaii’s most active volcano, but the question is, how long has it been erupting for? 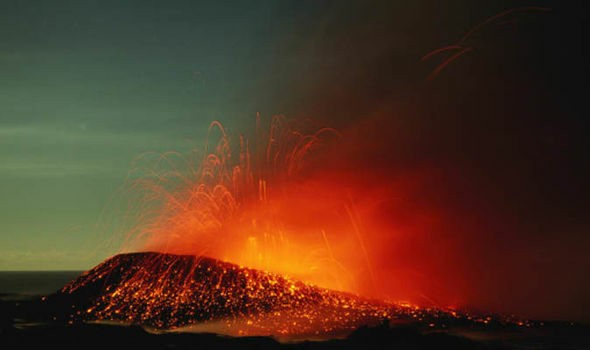 The volcano has been active for more than 35 years, with the volcano continuously erupting since 1983 – however, the recent eruptions have been explosive. Kilauea has erupted like this on two previous occasions, in 1924, when one man died after 10-tonne rocks were hurled into the air, and in 1983, when the Pu’u O’o vent collapsed, sending lava 1,500 feet into the air. 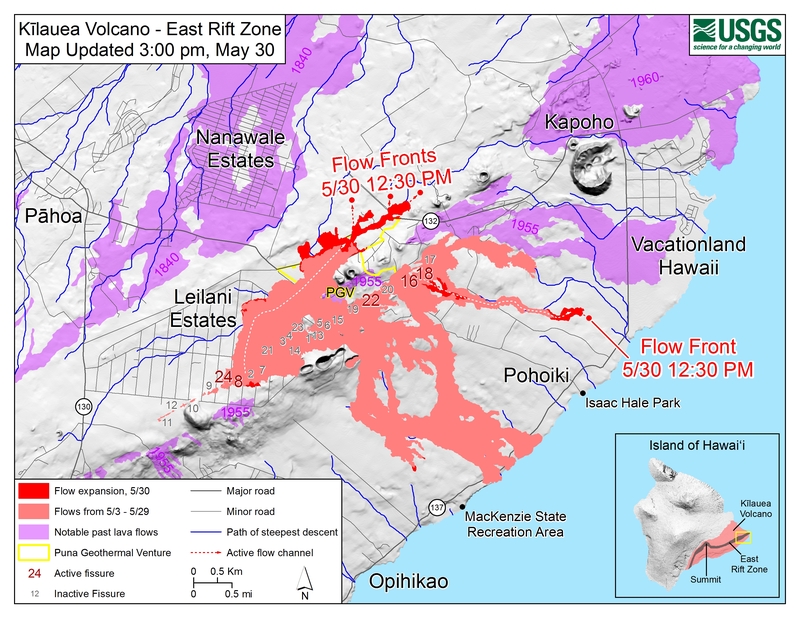 Large explosions along the East Rift Zone are rare, but recent earthquakes dislodged much of the ground near the area causing massive amounts of damage. 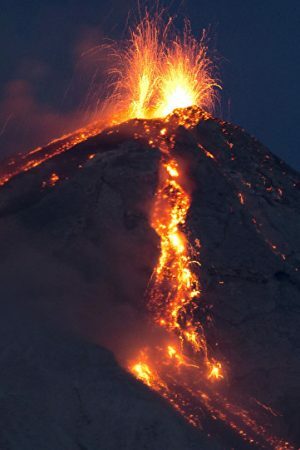 “One of the parameters is going to be whether the summit magma reservoir starts to drain in response to this event, and that has not happened yet,” Mr Miklius said. 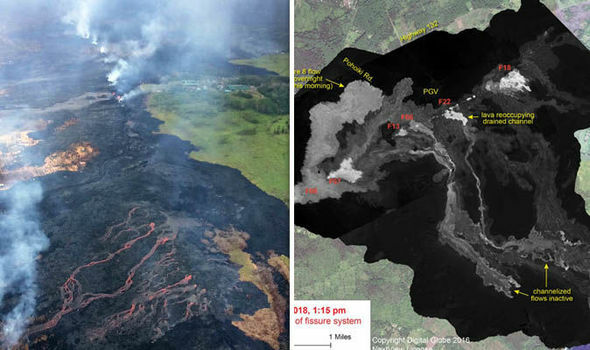 Kilauea finally erupted explosively in 2018 after more than 250 earthquakes struck the region in a 24-hour period on April 30. Earthquakes continued to rock the area, dislodging the crater floor and forcing lava to explode out through several fissures in the Leilani Estates and Lanipuna Gardens subdivision. Some of the earthquakes measured more than 5 magnitude, destroying the inside of the volcano to cause a massive eruption. Since then, more than 80 houses have been destroyed by lava flows, with more than 10,000 people displaced by the volcanic activity. The volcano has continued to violently erupt over the last month, spewing toxic fumes, lava flows and giant plumes of volcanic ash thousands of feet into the air. 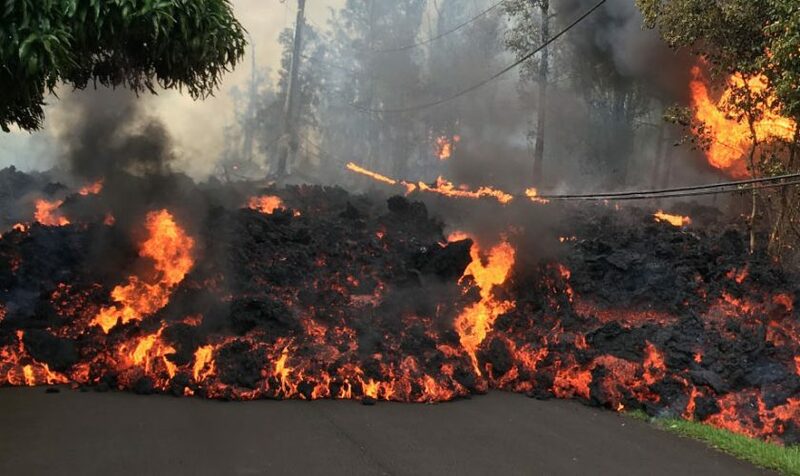 On May 21, two lava rivers from several fissures breached the Pacific Ocean on the south coast, creating a thick laze of hydrochloric acid, which can be fatal to humans. Lava continues to burst out of the ground in Puna, with the Hawaii Civil Defense Agency warning Hawaiian residents to be prepared to evacuate should the volcano erupt more violently in the coming days. Hawaii’s Kilauea volcano continues to erupt this week, as lava oozes out of 23 fissures in Puna forcing thousands to flee their homes. The Hawaii volcano’s lava flow has destroyed more than 80 properties so far, with United States Geological Survey (USGS) scientists still unable to determine when the eruptions might stop. 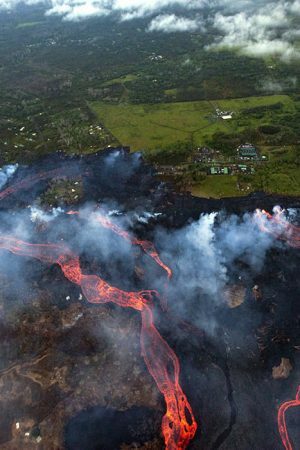 Hordes of residents have evacuated the region, particularly in the Leilani Estates where the lava has taken over more than half the area. The volcano has remained one of the most active on Big Island. 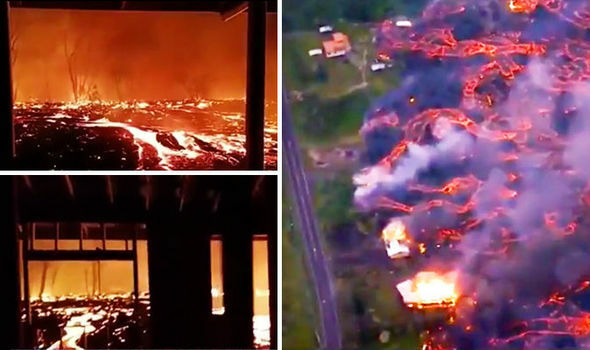 HAWAII’s Kilauea volcano’s eruptions have caused massive power cuts across Big Island after fast-flowing lava destroyed thousands of pylons, leaving residents without electricity for hours. Sharp strands of volcanic glass, called Pele’s hair, blown in by gushing winds pose a severe threat to locals with officials warning fibres can severely injure eyes and lungs if inhaled, as eruption chaos continues. 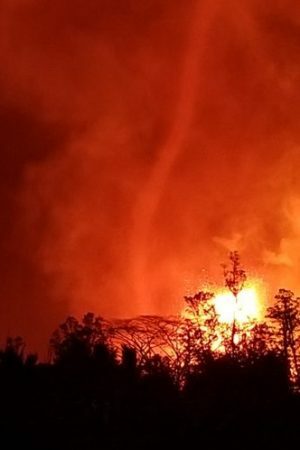 Fast-moving lava flowed rapidly across Highway 132 on Tuesday and destroyed more than 2, 400 electricity pylons causing widespread power shortages across Big Island, Hawaii Electric Light reported. 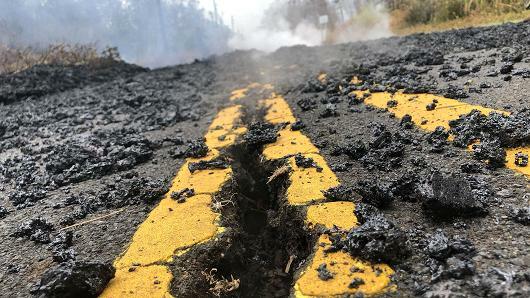 Officials have closed of Highway 132, after lava spilled into a stretch of road from Lava Tree State Park to Four Corners, causing thousands of locals evacuated their homes. The raging lava destroyed a fish farm owned by Big Island resident, Kevin Hopkins, who raised tropical fish and ornamental koi carp. Recent eruptions from Kilauea’s east rift zone have also produced a geological phenomena – sharp, thin strands of volcanic glass, resembling strands of golden locks, known as Pele’s hair or laze. As Kilauea’s fissures continue to erupt bursts of lava, several thin strands of hairs are produced and easily picked up by gushing winds, blowing downwind and to the west of the fissure. But locals have been warned, as the molten basaltic glass can severely hurt eyes and lungs when inhaled. Hawaii’s National Weather Service said Pele’s hair is highly abrasive and can hurt skin and eyes, similar to volcanic ash. 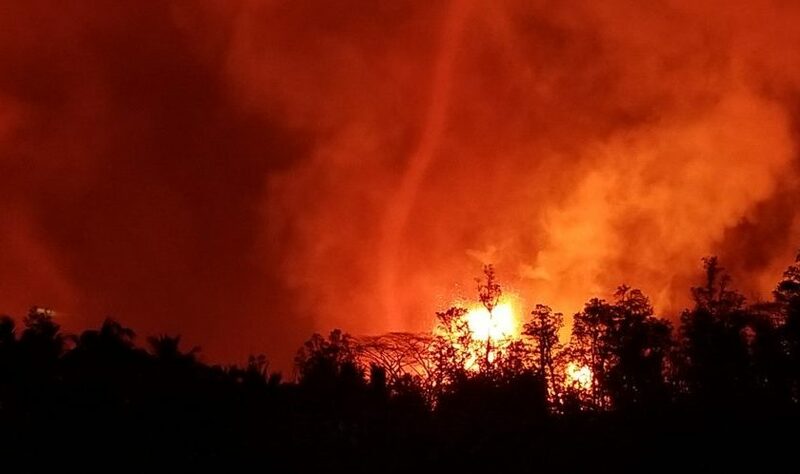 This is the latest hazard arising from the Big Island’s volcano eruptions, as raging lava and plumes of toxic sulphur dioxide gas continue to threaten residents in Pahoa. Earlier on Tuesday, 4,600 metres of ash exploded out of Kilauea ‘s summit, leaving hundreds of locals scrambling out of the area as officials issued a massive evacuation. US Geological Survey warned that ash drifting northwest will largely affect anyone situated near the volcano’s summit, in one of the world’s most active volcano eruptions in 100 years. One raging fountain of lava burst more than 200 feet (60 metres) in the air on Monday, the agency reported. Hawaii’s Big Island volcano has entered its fourth week of raging activity, as fast-flowing lava from multiple fissures have blocked roads and damages dozens of buildings since its eruption on May 3. At least 83 homes have been destroyed and 2,000 people evacuated as the volcano continues to rage on. Plans have been announced to deploy a rescue helicopter to evacuate a further 1 000 residents in a coastal area south of the fissures, County of Hawaii officials said. Lava fountains as high as 200 feet are continuing to pour out of active fissures on Big Island, adding to flows drifting southwards towards the sea. Kilauea erupted again on Tuesday sending an ash plume 15,000 feet into the sky. The latest thermal USGS maps below show how active fissures have widened the impact areas in recent days south of Highway 32. The scientific agency also showed in a separate map how the flow channel south has differed to previous lava flows caused by eruptions between 1840 and 2014-2015. 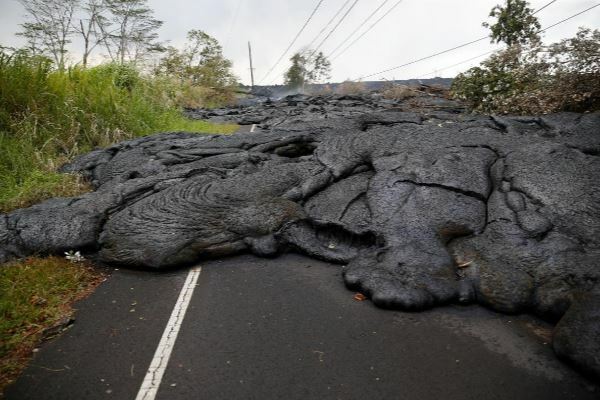 As a result of the spreading lava, only Beach Road remains a viable access route into Lower Puna. Is the power plant still under threat? 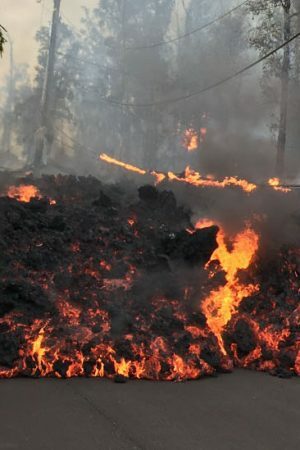 Residents say they are alarmed about the lava flow at the 38-megawatt Puna Geothermal Venture electrical plant, which powers a quarter of Big Islands’ electricity. Two wells that tap into steam and gas deep below ground have been penetrated, with the threat of more being submerged. The Israeli-controlled operator Ormat Technologies Inc said it had not assessed the damage yet. Officials had feared uncontrolled levels of life-threatening hydrogen sulphide would be released into the atmosphere but this has yet to happen. However, lava has never engulfed a geothermal plant anywhere else in the world prior to current events in Hawaii so what happens next is largely unknown. USGS scientists have warned Kilauea is likely to become more explosive in the next few weeks as the water level drops at the volcano’s summit. Volcano Kilauea has been erupting uninterruptedly since May 3 – plunging Hawaii’s Big Island residents into a panic. 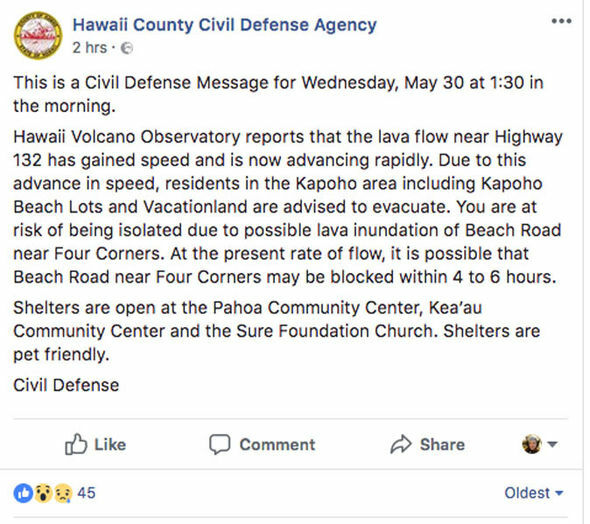 County Civil Defense urged residents to evacuate to avoid being caught in rivers of molten lava violently propelling out of fissures on the eastern side of the island. Authorities have warned Fissure 8 – located between the Leilani Estates and Lanipuna Gardens – has become “very active”, with officials reporting 200-feet tall lava fountains erupting from the rift. The volcano has so far forced over 2,000 people to leave the area and over 20 fissures have been created by the volcano. 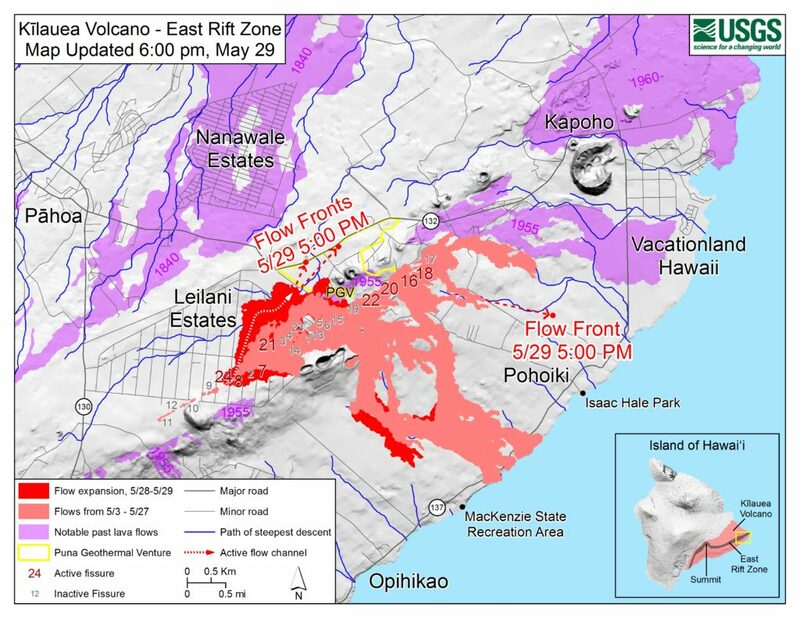 Dr Carolyn Parcheta, a USGS Geologist said: “Yesterday on the lower eastern rift zone, the whole of the fissure system from the middle of Leilani Estates to the east end of the fissure system was active. “One of the fountains was going up to 60 yards high. Frequent explosive eruptions at the summit of Kilauea have continued to plague Hawaii residents. One on Monday morning sent plumes of ash 12,000 to 13,000 feet into the air. How far is lava from Kona? Is air quality affected? A Hawaii County Civil Defense Agency statement said: “You are at risk of being isolated due to possible lava inundation of Beach Road near Four Corners. Officials are particularly worried about sharp, thin strands of volcanic glass fibres flying through the air into people’s eyes or their lungs. Known as laze – a blend of lava and haze – the fragments are formed from an acidic steam cloud as lava hits the sea. Hawaii County Civil Defense Agency previously warned residents “the laze plume travels with the wind and can change direction without warning”. 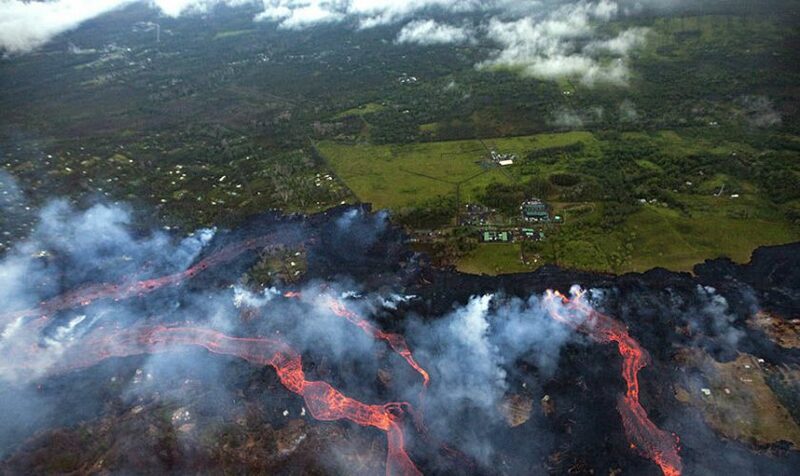 But visitors to the Kona district on the island’s west coast are being told not to worry. Air quality is deemed good across most of Big Island at the current time and there is no risk of sulphur dioxide being carried that far. Even when the winds in the south-east side of the island have moved direction, they are moving “out to sea away from the Hawaiian Islands”, according to the most recent statement from Hawaii Tourism Authority. Hawaii State Department of Health Director Dr. Virginia Pressler reiterated in the same update on May 25 that tourists were safe to visit Kona and other areas of Big Island. She said: “The air quality for the vast majority of the Hawaiian Islands is clean and healthy. “The emissions from Kīlauea volcano are a non-factor for O‘ahu, Maui, Moloka‘i, Lāna‘i and Kaua‘i. “The weather is beautiful and warm with cooling trade winds everywhere in Hawai‘i and is exactly what travelers expect when coming here for a relaxing and fun vacation experience. There have been no updates since then to suggest these areas are unsafe to travel to. Residents in the Leilani area are being ordered to leave their homes immediately as the lava spreads down Highway 132. Shelters have been set up at community centres and churches in the area. 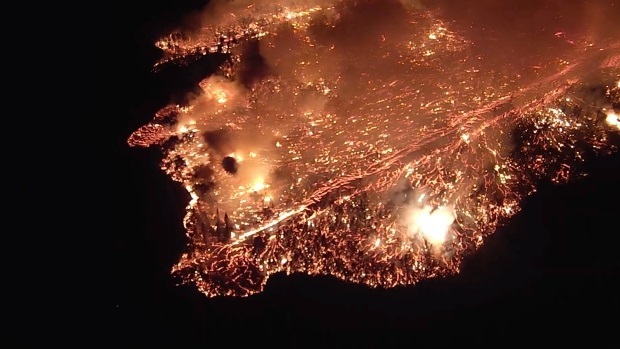 A Civil Defence spokesman said: “Residents on Noni Farms Road and Hale Kamahina road need to evacuate immediately due to a fast moving lava flow. A second update at 1.30am local time (12.30pm BST) extended the evacuation notice to the Kapoho area including Kapoho Beach Lots and Vacationland. 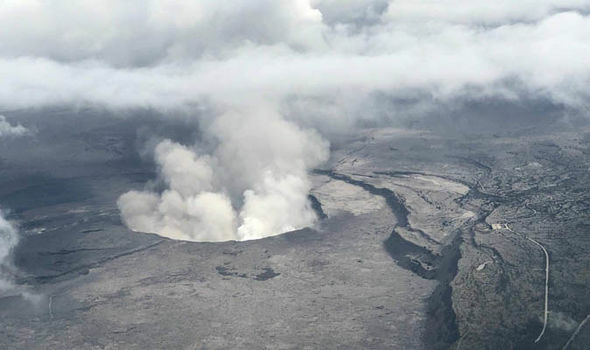 The evacuation orders came as Kilauea entered its fourth week of simultaneous eruptions at its summit crater and along a six-mile string of fissures 25 miles down its easterm side. 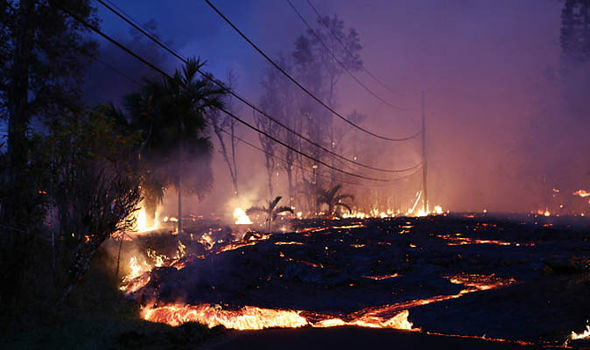 The lava has also destroyed more than 400 electric poles and other equipment, causing power outages, the utility Hawaii Electric Light reported. 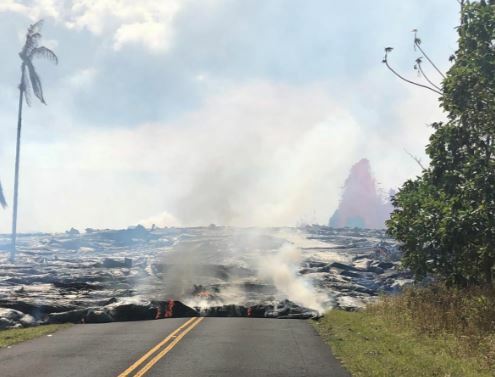 A spokesman for the US Geological Survey said: “A fast-moving lava flow is travelling down highway 132 and is currently near the intersection of Noni Farms road. “It advanced 800 yards over 80 minutes. The flow is fed by continued strong fountaining from Fissure 8. 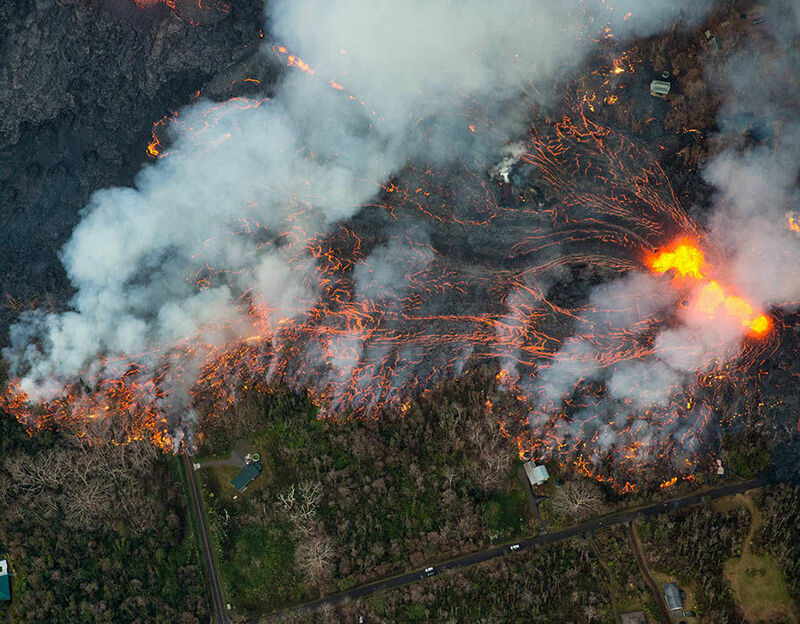 Contingency plans have been made for a possible helicopter evacuation of up to 1,000 residents in a coastal area south of the fissures should their last exit route, State Highway 130, become blocked by lava or become unsafe due to gaping cracks. Officials have warned that sharp, thin strands of volcanic glass fibres being carried on the wind could injure eyes and lungs. The fibres are known as “Pele’s hair” after the Hawaiian goddess of volcanoes and are formed through the stretching of molten basaltic glass from lava, usually from lava fountains, lava cascades and vigorous lava flows. Pele’s hair is extremely light, so the wind often carries the fibers high into the air and to places several miles away from the volcano. Pahoa residents have reported Pele’s hair falling, prompting civil defence officials to issue a warning across the region. A spokesman said: “Avoid touching it or getting it in your eyes. Danger from the volcano has now reached Guam some 4,000 miles across the Pacific Ocean. Volcanic haze from Kilauea has stretched across the Pacific and threatens residents of the Mariana Islands. Guam’s homeland security office said: “”Residents with respiratory health problems should stay indoors and avoid being outdoors when haze is seen. MARSHMALLOWS should not be roasted over the volcanic eruption on Hawaii’s Big Island the United States’ Geological Survey (USGS) has warned residents after being asked the unusual question in a social media exchange. 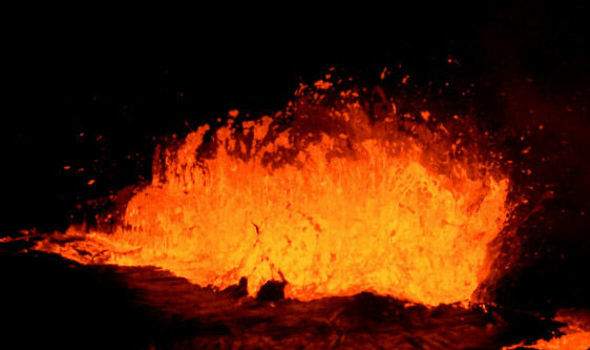 According to USGS, toasting the sweets over the red hot lava of Kilauea would give a “pretty spectacular reaction”, but would taste “bad”. The official body were responding to the mad question sent to them on Twitter. “Assuming you had a long enough stick, that is? The USGS were fairly straightforward in their answers and told Mr Furr “that’s not safe,” but they also gave a fascinating insight into what may happen if he had tried to toast his sweets. They responded: “Erm, we’re going to have to say no, that’s not safe. “If the vent is emitting a lot of SO2 or H2S, they would taste bad. At the point when sugar is joined with sulphuric corrosive, it makes a thick, dark carbon item, and in addition water vapor and sulfur dioxide. But, it would not be the only chemical reaction from the eruption so far. Hydrochloric acid has been created as Kilauea’s lava has reached the sea. 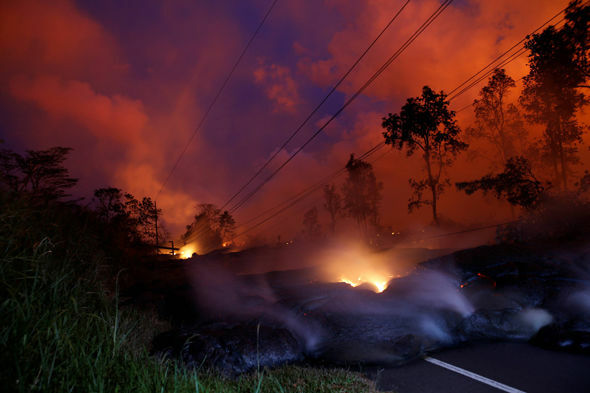 The lava haze – or laze – is highly toxic, and is laced with tiny fragments of volcanic glass, as well as the acid, and can cause damage to victims’ breathing or eyesight. Kilauea has been erupting since May 3, and has so far destroyed more than 80 homes on Hawaii’s Big Island. Only one person has been seriously injured so far, when a man’s leg was shattered when it was hit by a flying molten rock. 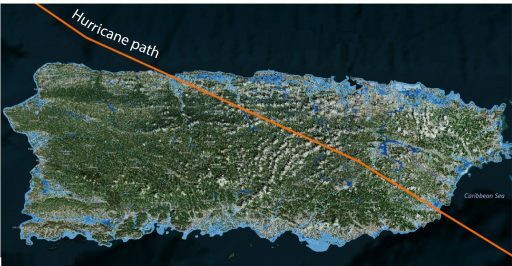 Eight months after Hurricane Maria tore through Puerto Rico, Harvard researchers estimate the death toll to be about 70 times greater than initially thought, according to a new study. HURRICANE HAZARD AT PUERTO RICO – Researchers from Harvard’s T.H. Chan School of Public Health visited more than 3,000 homes across Puerto Rico over the course of about a month. What they found was staggering. Instead of the initial estimated 64 deaths, there were likely more than 4,000 — many due to inaccessible medical care, according to a new study published yesterday in the New England Journal of Medicine. But the estimations remain imprecise. The death toll could range from about 800 to more than 8,000 people, the study found. Boston Medical Center psychiatrist Dr. Lisa Fortuna — a Puerto Rico native who witnessed the dire aftermath of Hurricane Maria last year — said the new numbers come as no surprise. She saw people on horseback desperately seeking medical care, diabetics with dwindling insulin supplies. 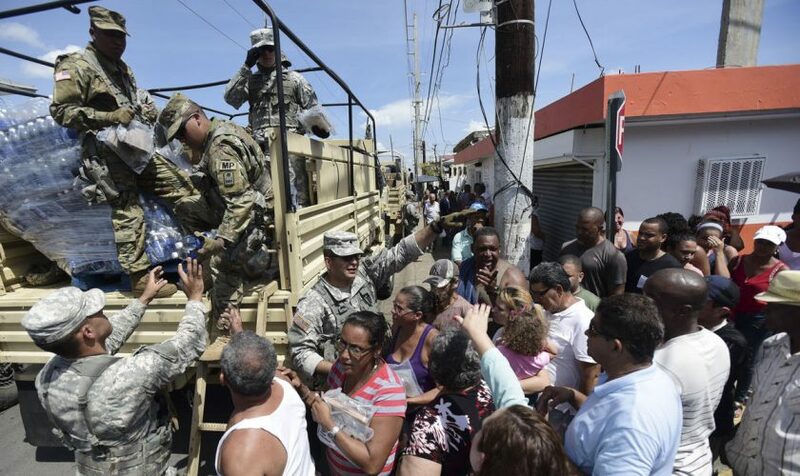 “When I was in Puerto Rico, everyone felt there was likely an underestimate,” said Fortuna, who took a two-week trip to the island to deliver medical supplies. “People with dependence on insulin and oxygen, later had died. Because of the consequences on their health, they were already fragile folks. According to researchers, estimates immediately following disasters are often skewed, and future numbers should use different methodologies to get a fuller picture. Of those interviewed, about 15 percent reported that someone in their household was unable to get medicine for at least a day following the storm. About 10 percent estimated a household member had issues with breathing equipment due to power outages. Fewer than 10 percent reported closed medical facilities and 6 percent were unable to access doctors. A third of deaths were caused by a delay or complete lack of medical care, the study found. Researchers are advocating for this method to be used after future disasters to get more accurate estimates.